Dustin Hoffman’s character successfully persuades Katherine Ross’s character to spurn her future husband at the altar. Caught up in the moment, the young lovers run out of the chapel, board a bus and ride away from the wedding. Seconds later, the adrenaline wears off and the gravity of the situation becomes apparent. Before the film fades to black, Hoffman and Ross’s smiles slip into looks of concern, regret and a potpourri of emotions. In the same way, moving on from the Marty Wilson era feels like the scene on the bus. Sure, the prospect of having a new coach come in and turn a West Coast Conference bottom-feeder into the next conference contender is a thrilling thought. 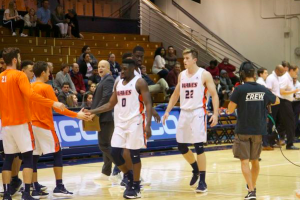 But the reality of Wilson’s firing is that Pepperdine University’s administration has a long checklist to complete in order to put the Waves back in the NCAA Tournament for the first time since 2002. Firing Wilson is not a cure-all. Thinking that hiring a power-five assistant or a recently-unemployed high-major coach will bring automatic success is wishing for a lottery ticket. Sure, what Arizona assistant Joe Pasternack has done in turning a 6-22 UC Santa Barbara program into a Big West title contender is noteworthy. But making the comparison between the UCSB job and the Pepperdine job is far too easy and far too simplistic. As tempting as it is, don’t make this parallel. More likely than not — and especially with impending transfer reform to include “prospective student-athletes who have signed a National Letter of Intent to transfer and play immediately if a head coach leaves the school of the student’s choice,” per the NCAA’s proposed rule changes — Pepperdine basketball is going to get worse before it gets better. Current players could transfer. The new coach could take years to implement a successful system. Plus, Gonzaga, Saint Mary’s and BYU aren’t going anywhere. Program changes take time. Full stop. For every Pasternack, there’s a Terry Porter. For every Eric Musselman giving Nevada a postseason bid in his first year, there’s a Mike Dunlap struggling at LMU, a Dennis Cutts floundering at UC Irvine or heck, even an Archie Miller leading Indiana nowhere fast. 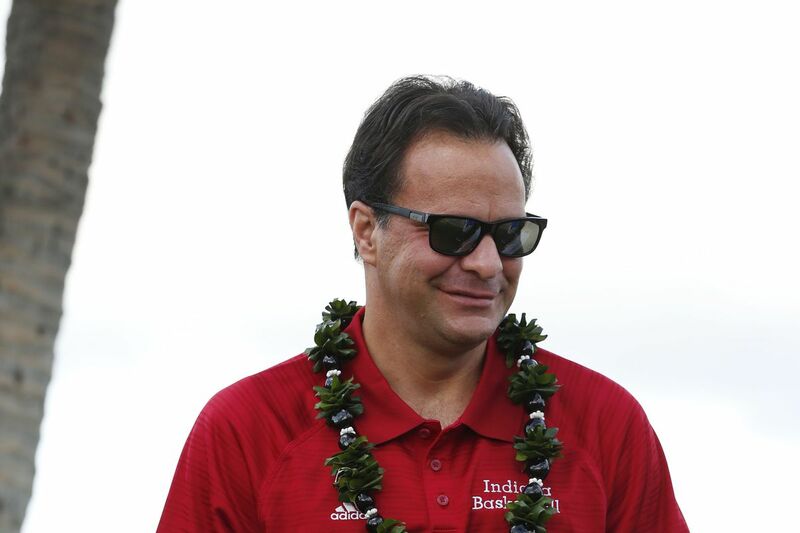 The fact of the matter is: The next head coach will, more than likely, take a few years to turn around this program. If not, then as an alum and proud Pepperdine basketball fan, I will gladly eat crow*. This isn’t a vindication of the Wilson era, even though it had its moments. Watching Stacy Davis, Lamond Murray, Jett Raines and Jeremy Major play gave me some of the best memories of my collegiate years. Pepperdine fans took pride in having Wilson as their coach because he is a Wave. 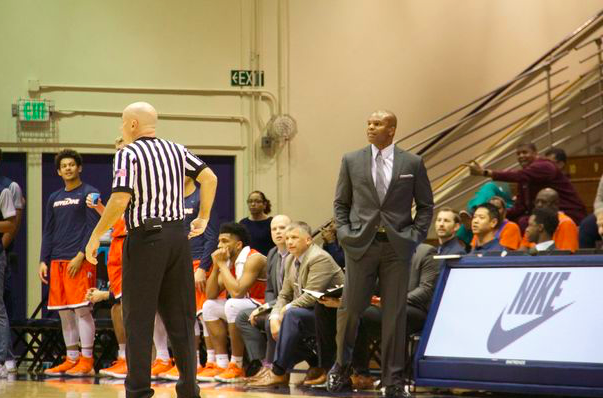 Wilson was a damn near perfect example of an alum who practiced what he preached by representing the university well, developing unheralded players into Pepperdine greats and, ultimately, giving back to his alma mater. Read his statement again and try to be mad at him for losing games. It’s impossible. At the same time, the Marty Wilson era wasn’t without faults. Only two of Wilson’s seven seasons were on the right side of .500. Yes, his in-game adjustments left something to be desired. And yes, his rotations often were unpredictable, erratic or just downright weird — even with the roster’s litany of injuries. Above all else, it was not a good sign that a defensive-minded coach crafted a defense at the bottom half of KenPom’s defensive efficiency rankings for five of his seven seasons at the helm. Now the onus is on the administration to put their money where their mouth is. If they want a more successful program — and as one of two revenue-gaining sports on campus, they do have more than pride-related reasons to do so — then Pepperdine needs to upgrade its athletic facilities. The university needs to break ground (or at the very least, establish concrete plans) for a new stadium that’s been rumored for far too long. That last paragraph wasn’t baseless complaining. These investments would work wonders for a prospective head coaching candidate. Imagine being a college basketball coach, mulling over the decision to coach at a mid-major program with an ocean view, which just so happens to be in not only one of the nation’s largest media markets, but also in a high-school basketball hotbed. Oh, and the university will put you in the best position to win by giving your team the resources it needs to attract recruits and develop your players in top-notch facilities. Who would turn down that offer? Pepperdine’s administration needs to put its next coach in the best possible scenario to succeed. If they don’t, they run the risk of repeating history — and having another Graphic columnist make another obnoxious hot take about the state of Pepperdine basketball in 2028. So for now — and for the the foreseeable future — the ball is in the administration’s court. *Eating crow is a colloquial idiom, used in English-speaking countries that means humiliation by admitting having been proven wrong after taking a strong position. Crow is presumably foul-tasting in the same way that being proven wrong might be emotionally hard to swallow.